Brazil is one of the fastest growing automobile markets in the world it when it comes to crossovers and SUVs, it is as attentive to them as our very own Indian market. The 2012 Sao Paulo International Motor Show is currently going on in Brazil and with no surprise, there are plenty of compact SUVs and crossovers being unveiled this year. If you can recollect, a few weeks back Hyundai unveiled its latest Brazil specific hatchback the Hyundai HB20, and now the interesting news coming from the motor show is that the same has unveiled another model based on the HB20. 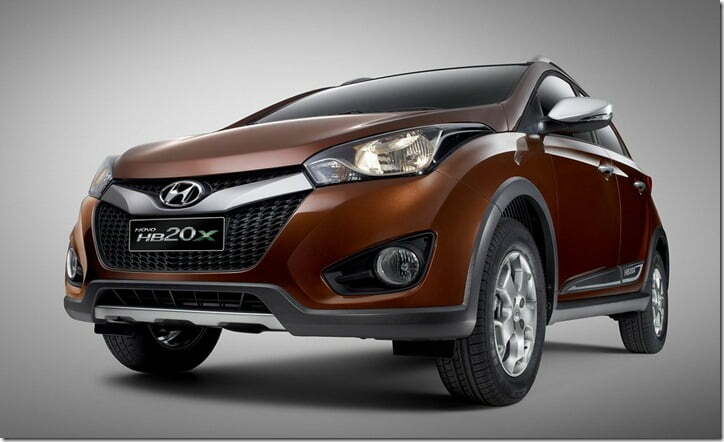 Being specific now, Hyundai has taken the wraps off the HB20X which is a crossover based on the HB20 hatch. 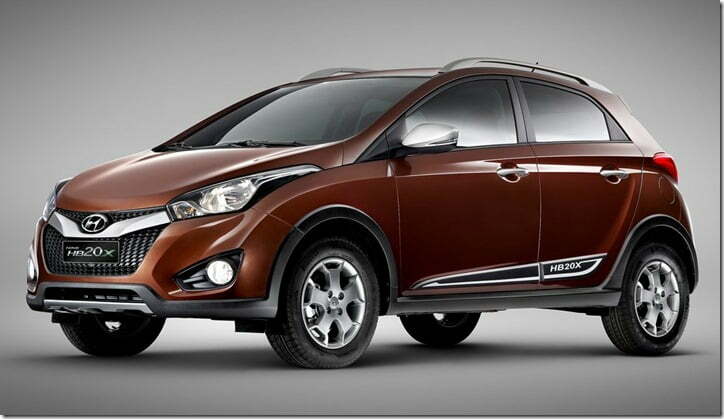 Compared to the HB20, the HB20X gets a different and unique styling. The front has a totally redesigned bumper with a hexagonal grille, which is based on the company’s latest design philosophy, Fluidic Sculpture. The headlights get a new finish with black bezel and chrome details, along with a pair of redesigned fog lamps. On the sides it carries the HB20’s pronounced shoulder line, 15 inch dark gray alloy wheels, and side black molding which together complement the increased ground clearance of the car. Also there will be HB20X stickers on the rear doors on both the sides. 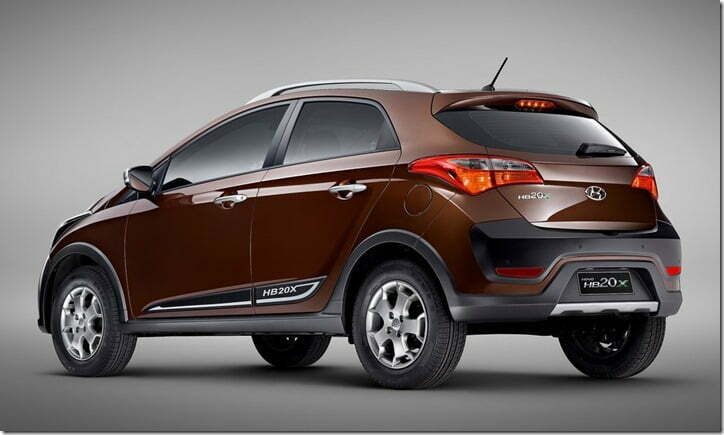 The sporty image of the car is reflected on the back too as it features a redesigned rear bumper with black moldings, and stylish rear lamps. On the inside the car will feature the same high quality interior of the HB20 which includes sports pedals, chrome finishing for door handles and air conditioning controls, as well as blue double stitches for the steering wheel and seats. Under the hood the car will equip Hyundai’s GAMMA 1.6 16 V FLEX engine that puts out 128 BHP of max power and features Continuous Variable Valve Timing. The engine comes mated to either a manual transmission or an automatic transmission.